As well as specialising in roof restoration and roofing repairs, B.S. Roofing Repairs can also assist you with your chimney removal. This is a highly specialised area, and needs to be managed appropriately. 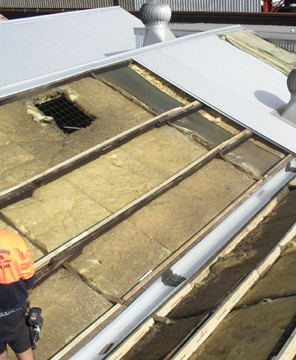 We have over 26 years experience in the roof restoration and roofing repairs industry, making us much sought after licensed roofing contractors in the Sydney market place. We will provide you with a free, no obligation quote for removing your chimney, and you will be pleasantly surprised by our affordable prices. We provide an efficient service, coupled with a high quality of workmanship on every chimney removal project we undertake. We provide first class chimney removal services in Penrith, Blue Mountains, Windsor, Hills District, Sydney's Western Suburbs and the surrounding areas. For expert advice on your chimney removal project, Contact BS Roofing - licensed and insured roofing experts contractors, today to organise your free, no obligation quotation.